In an earlier post, I discussed my father's experience with Diabetes and Vitamin D Deficiency. I have an incredible update to add! 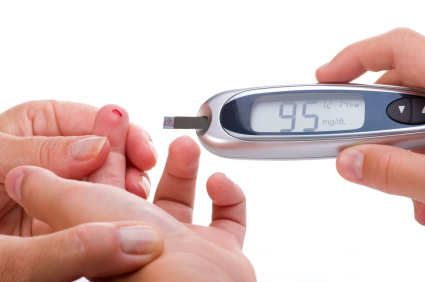 For years, my brother has also struggled with Diabetes and his blood sugar levels. In the morning, before eating, his level was always above 200. He has been taking 8000IU of Vitamin D3 daily for the last 3 months. His morning blood sugar level is now consistently around 106! He is supposed to be between 65 and 115 so this is incredible news! After eating, he drops to the 80s so he is completely in the normal range. My father, who is also taking the same dose of Vitamin D3 daily, is also in the normal range. I am even more outraged at the IOM, for the disgraceful recommendations for intake of Vitamin D. My brother and father have added even more proof to convince me that they are wrong. Diabetes numbers in this country alone (23.6 million in 2007) is enough to prove them wrong now that I have seen Vitamin D3 in action. If you have Diabetes, get your blood tested to find out your Vitamin D level. Do it now, don't wait and don't forget to vote in the poll I have provided on this page.